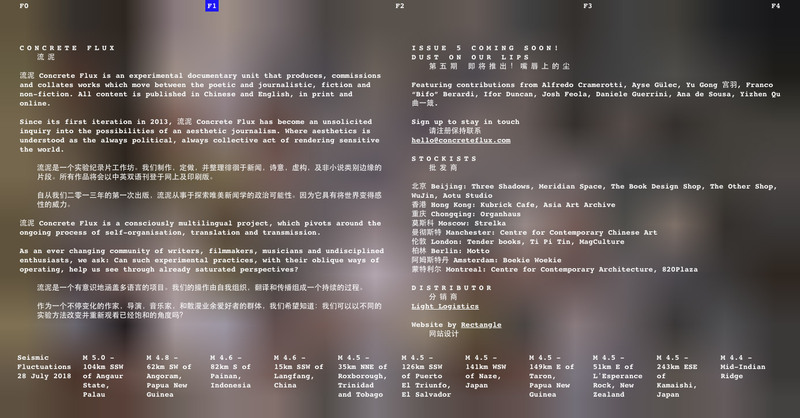 流泥 Concrete Flux is an experimental documentary unit, founded by Sophie Dyer and Solveig Suess that produces, commissions and collates works which move between the poetic and journalistic, fiction and non-fiction. 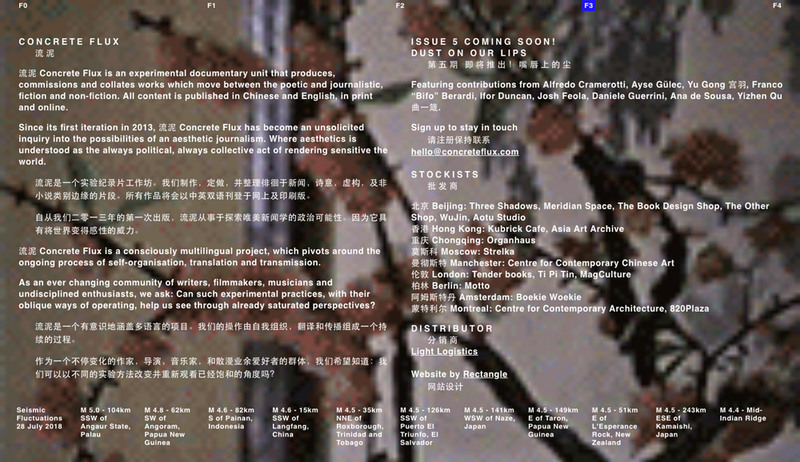 All content is published in Chinese and English, in print and online. We have been developing a new online version of the publication, which will load in multiple fidelities, each one closer to the most faithful rendering of the content. Starting from an extremely small plain text version of the content, the site will try to load ever more high resolution versions, which one you reach depending on the speed of your internet connection. This full site will come online in Autumn 2018. 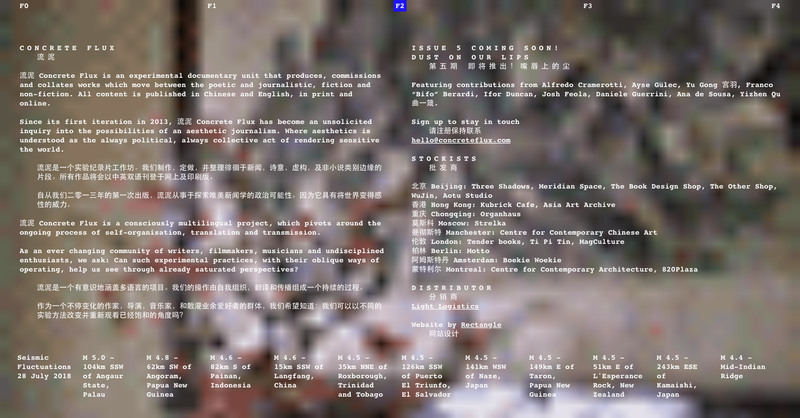 The most high fidelity version of the site. 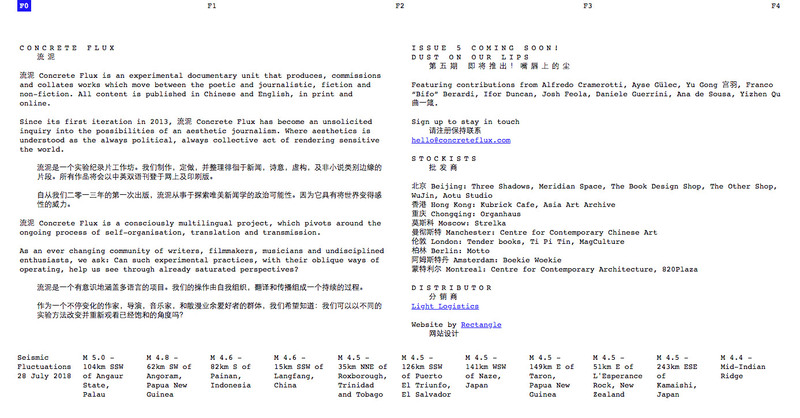 The lowest, plain text version of the site. Each fidelity loses image quality and other resource heavy features.